BYJ has been in Japan since the fifth of April to attend the opening of the new Gosireh Hwa and the opening of The Lotte City Hotel Kinshicho . He gave a gift of a white porcelain vase to Lotte Hotel,which they will display there later. Besides the activities mentioned, BYJ donated intensive care beds for premature infants to 8 hospitals. 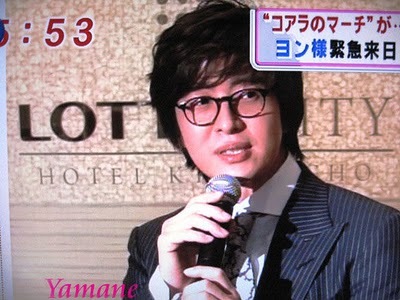 He went to a hospital in Kanagawa and talked with the patients and doctors there.